Mannalil Ayurveda Hospital located at Ettumanoor, Kottayam is founded with a superior motive that aims at upholding the glory of this tradition and keeping you hale and hearty. Our expert doctors entrusted in maintaining the ayurvedic treatments following the ancient Sanskrit scripts on ayurveda dated back to thousands of years, provide you with the best experience in ayurvedic treatments. Our ayurvedic research centers strive our best to provide you the best ayurvedic experience that will soothen your mind, body and soul. 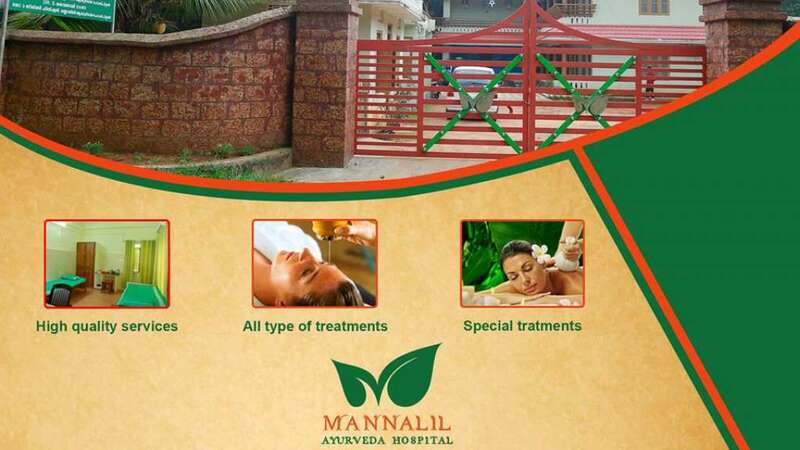 Mannalil Ayurveda walking in the paths of ayurveda, serving humanity for more than 400 years welcomes you to a whole new experience in ayurvedic treatments.